A Texas native, Jason B. Keith is the senior litigation associate with Waldron and Schneider, L.L.P. and was licensed to practice law in 2005. Mr. Keith focuses his commercial litigation practice on pre-litigation negotiations, pre-trial restraining orders and injunctions, and handles both jury and bench trials. Mr. Keith has been with Waldron and Schneider, L.L.P. since 2008. Mr. Keith’s broad spectrum experience includes commercial litigation such as the prosecution and defense of breach of contract, landlord representation, residential construction disputes (both home owners and contractors), trade secret misappropriation, property owners association disputes (both associations and residents), employment issues, consumer protection (e.g., Deceptive Trade Practices and Fair Debt Collection Practices), fraudulent transfer (plaintiff and defense), commercial debt collection, and trademark issues. Since begining his practice, Mr. Keith has directly resolved hundreds of cases through trial, summary judgment, mediation, and pre-litigation settlement. Mr. Keith understands that communication with clients is critical to effective and efficient representation. Mr. Keith strives to develop solutions and strategies that facilitate the resolution of his clients’ disputes in a cost effective manner without sacrificing principle. He represents individuals, business owners, and businesses of all sizes. 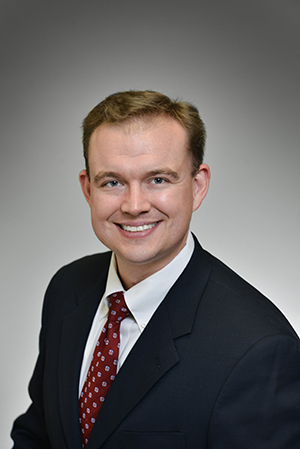 Combined with his skills first honed at the renowned Baylor University School of Law Practice Court Program, Mr. Keith uses his trial experience to assist clients in navigating the Texas and federal court systems to achieve their best available outcomes. In his spare time, Mr. Keith enjoys volunteering with his church, powerlifting, and spending time with his wife raising their two daughters. Mr. Keith received his economics degree from Baylor University in 2001, and his law degree from Baylor University School of Law in 2005. Mr. Keith is licensed to practice law in the State of Texas, the United States Court of Appeals for the Fifth Circuit, the United States Bankruptcy and District Courts for the Southern and Northern Districts of Texas, and the United States District Courts for the Western and Eastern Districts of Texas. Mr. Keith is a member of the Texas Bar Association, the Houston Bar Association, and the Fifth Circuit Bar Association. Mr. Keith is an active member of the Clear Lake United Methodist Church, Clear Lake Chamber of Commerce Toastmasters, the Clear Lake Chamber of Commerce Young Professionals, and sits on the boards of his church’s endowment and governing Leadership Council.